Aurender X100 digital music player to debut at CES 2014 | What Hi-Fi? 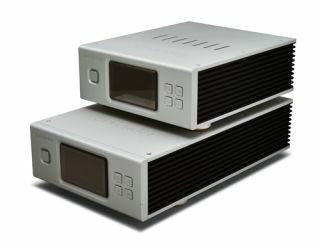 Korean company TVLogic will unveil its Aurender X100 digital music player at CES in Las Vegas next week. Designed to make managing, viewing and paying digital music collections "fun and easy", the X100 supports playback of DSD, WAV, FLAC, ALAC, APE, AIFF and M4A formats. It's available in two versions: the Aurender X100L with two 3TB hard drives, and the X100S with a single 1TB HDD. Both models get a 120GB solid-state drive cache for "latency-free playback", and also come equipped with two USB data ports, a high-performance USB digital audio output and a Gigabit Ethernet port for software upgrades, file transfers and network connectivity. Control is either via the front panel buttons, or using the Aurender Conductor app for iPad and iPad Mini. In the US the Aurender X100S will sell for $2999 and the X100L for $3499.